On June 23 and 24, the German Development Institute / Deutsches Institute für Entwicklungspolitik held their fourth international workshop on domestic revenue mobilization in developing countries in Bonn. GFI Managing Director Tom Cardamone gave a presentation titled “Approaches to Address Trade Misinvoicing in Developing Countries.” The key point of the presentation was that since trade misinvoicing (i.e., trade fraud) moved some US$5 trillion out of developing economies in the most recent ten-year analysis (2003-2012), bolstering the effectiveness of customs departments is a key component of reducing lost domestic revenue. Specifically, he called on the World Bank, IMF, and other institutions to create a financing facility to implement trade pricing databases – and related training – in customs departments that will enable officials to determine when goods have been misinvoiced. By providing the capability to identify, investigate, and interdict misinvoiced goods, customs departments can better control illicit flows of funds before they ever leave the country. On April 16, GFI Legal Counsel and Director of Government Affairs Heather Lowe participated in the U.S. government’s Consultation on the U.S. National Action Plan (NAP) on Responsible Business Conduct, which was co-hosted by the International Corporate Accountability Roundtable and the Global Business Initiative on Human Rights at Georgetown University Law Center. Heather was a lead discussant at the session on anti-corruption and financial transparency, where she discussed the connection between IFFs, human rights, and business conduct. GFI President Raymond Baker took part in the UN Peacebuilding Commission’s Annual Session 2015, which was held on June 23 in New York. According to the Peacebuilding Commission (PBC), the event, titled “Predictable Financing for Peacebuilding: Breaking the Silos,” was a “platform for exchanging views on practical ways to further define intergovernmental avenues aimed at enhancing predictability of peacebuilding funding… [and exploring] means to strengthen the effectiveness and potential of domestic resource mobilization for peacebuilding.” Raymond was a respondent during the working session on domestic sources of financing for peacebuilding. He was delighted to participate again with GFI friends Abdalla Hamdok, Deputy Executive Secretary of the UN Economic Commission for Africa, and Erik Solheim, Chair of the OECD’s Development Assistance Committee. In Helsinki, Tom Cardamone made a presentation on GFI’s recent Development Indices report to high level government officials focused on global development policy at the end of June. The study showed that 20 developing countries have illicit flow levels that are at least 10 percent of GDP and that 20 nations had IFFs that were greater than the combined total of foreign aid and foreign direct investment. 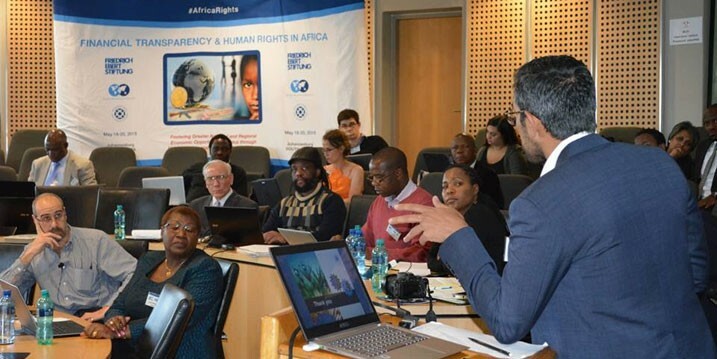 Cardamone also noted that in addition to the alarming findings, the main take-aways were that a country does not need to have “top 10-level” volumes of illicit flows to see a corrosive impact on their economy and that there are very few countries without an illicit flows problem. The Government of Finland funded the study. This report, written by GFI Junior Economist Joseph Spanjers and FellowHåkon Frede Foss, highlights the outsized impact that illicit financial flows have on the world’s poorest economies. The study looks at illicit financial flows from some of the world’s poorest nations and compares those values to some traditional indicators of development – including GDP, total trade, foreign direct investment, public expenditures on education and health services, and total tax revenue, among others – over the period 2008-2012. Raymond Baker and Heather Lowe attended a meeting of the World Economic Forum’s Meta-Council on the Illicit Economy, exploring the connections between the various aspects of the illicit economy and what the Council should focus on in the coming year. In addition, as part of her membership on the World Economic Forum’s Council on Transparency and Anti-Corruption, Heather Lowe participated in the two-day kick-off meeting for the Beacon Project, a project aimed at ensuring anti-corruption assessments are undertaken at the early stages of procurement processes. Global Financial Integrity was pleased to host the meetings for the World Economic Forum. Heather Lowe, as Vice Chair of the Financial Transparency Coalition (FTC), chaired FTC’s spring meeting in London where work plans, grant reporting, and ways in which the coalition can be more gender-aware in its work and operation were discussed. Heather Lowe continues her participation in the Working Group on Transparency and Corruption with the B Team, a group of global business leaders dedicated to developing a better way to do business. 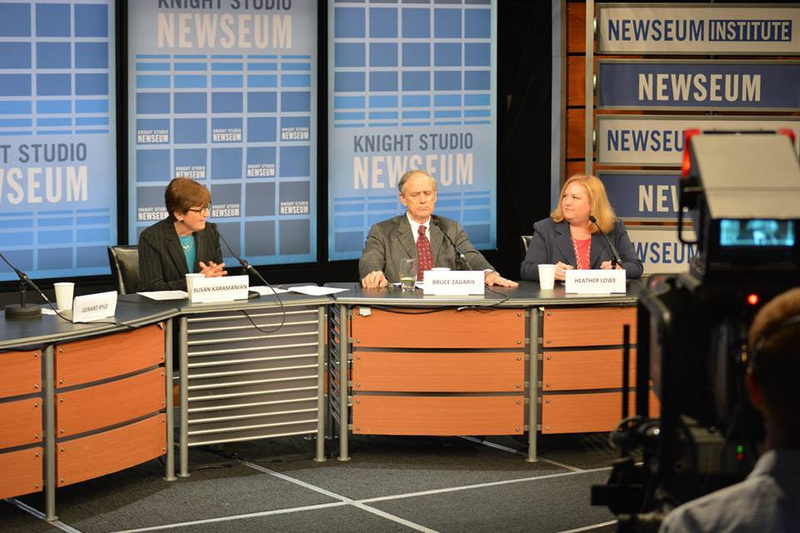 On May 26, Heather Lowe appeared at the Newseum’s Knight TV Studio as part of their panel entitled, “Tax It Like It Is: Discussing the Luxembourg and Swiss Leaks.” Other panelists included Gerard Ryle, director of the International Consortium of Investigative Journalists (ICIJ); Marina Walker Guevara, deputy director of ICIJ;Susan Karamanian, associate dean for international and comparative legal studies at the George Washington University Law School; and Bruce Zagaris, partner at Berliner, Corcoran & Rowe LLP. On June 2, Heather Lowe joined Polly Greenberg, Chief of Major Economic Crimes Bureau at the New York County District Attorney’s Office, on a panel at “The Banker – Mastering AML and KYC” conference in New York hosted by the Financial Times, where Lowe spoke on the effect of recent money laundering cases on bank compliance with AML regulations. Later in June, Heather Lowe taught community organizers from California, Florida, Iowa, and New York about anonymous companies as part of the Financial Accountability and Corporate Transparency (FACT) Coalition’s two-day “Organizing for Tax Fairness” training in Des Moines, Iowa. GFI Policy Counsel Liz Confalone participated in the training. Also this quarter, Heather Lowe spoke at the Association of Certified Financial Crime Specialists (ACFCS)conference in New York, discussing international developments in tax evasion and avoidance. In addition, she gave an introductory lecture on money laundering at American University’s Washington College of Law (WCL) as part of WCL’s US and International Anti-Corruption Law Summer Program. The class is taught byAU Assistant Professor Daniel Schneider, and participants ranged from WCL students to international working professionals. 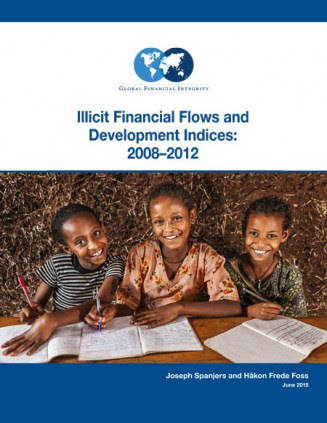 GFI’s recent report Illicit Financial Flows and Development Indices: 2008-2012 examines the impact IFFs have on developing country economies. The 20 nations listed in the table have illicit flows amounting to more than the combined total of official development assistance (i.e., foreign aid) and foreign direct investment – there can be no clearer indication that a nation is suffering the ill-effects of a severe countervailing economic force than when two of the largest sources of foreign funds are swamped by illicit outflows. This study highlights that illicit financial flows are pervasive and pernicious in the developing world and that focusing only on the total volume of IFFs distorts the corrosive nature of the problem. Carte: combien coûte l’évasion fiscale des grandes entreprises à votre pays? Bank of the Underworld: Liberty Reserve was like PayPal for the unbanked. Was it also a global money-laundering operation? Heather Lowe’s blog post, which provided an in-depth legal analysis of the charges that the U.S. brought against FIFA, received very strong coverage and positive reviews. Within a week of its release, the blog had been referenced by numerous media outlets, including The Economist, The New York Times, and The Wall Street Journal.